Public concern prompted action by PennDOT District 12-0 to investigate congestion and safety issues along U.S. 19 in Morrisville, PA – the most heavily traveled route in Greene County. Trans Associates was selected to assess project need, develop alternatives, complete preliminary and final design, and provide services during construction. Trans Associates (TA) used a collaborative approach in assessing project needs and providing a solution to fit the needs of the community. Study findings revealed vehicular volumes approaching 30,000 vehicles per day, and a bottleneck condition along a 0.75 mile section in which four of seven study intersections experienced unacceptable levels of service and accident rates were over twice the statewide average. TA’s staff and District personnel worked in conjunction with a community task force of 60 local residents, business owners and public officials to evaluate alternatives, and reach consensus on a solution consistent with community planning objectives. 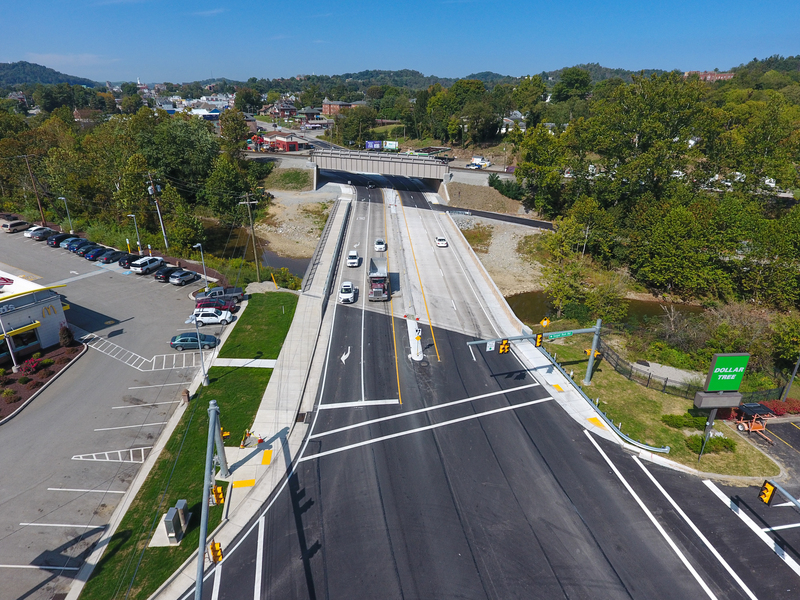 Improvements included adding a lane of travel in each direction, replacement of the two-lane Freedom Bridge with a four-lane structure, replacement of an aging railroad overpass, auxiliary lanes, traffic signals and bicycle and pedestrian accommodations. The close proximity of roadway and railway structures, and the S.R. 2028 intersection created considerable design and construction challenges. The design team met these challenges by developing a coordinated schedule to demolish and construct the rail overpass, mainline bridge and roadway while maintaining all lanes of vehicular traffic, and uninterrupted rail service of nearly 25 trains per day.